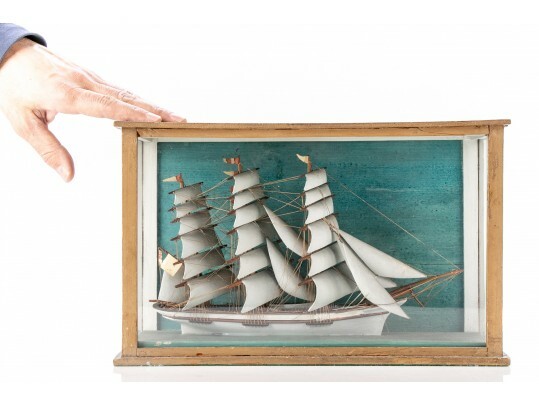 Antique cased model of a masted vessel with indistinct flags, a small rowboat can be seen on board. Presented in a wood and glass box with felted base. Condition: appears to be in good condition, sealed in glass, wood with alligatoring and wear consistent with age.